Purchased in 2010, this boat was upgraded in 2015 with new engine, thruhulls, Raymarine instrumentation, outboard and Trojan batteries. After a period as the family liveaboard home, she has been very lightly used for the last couple of years. The forward master cabin is spacious for the boat's size with ample storage, a settee and en suite shower and head forward. Large saloon and table are well proportioned for family use. The bottom was painted in 2018 and she struck me as clean and tidy inside and out. 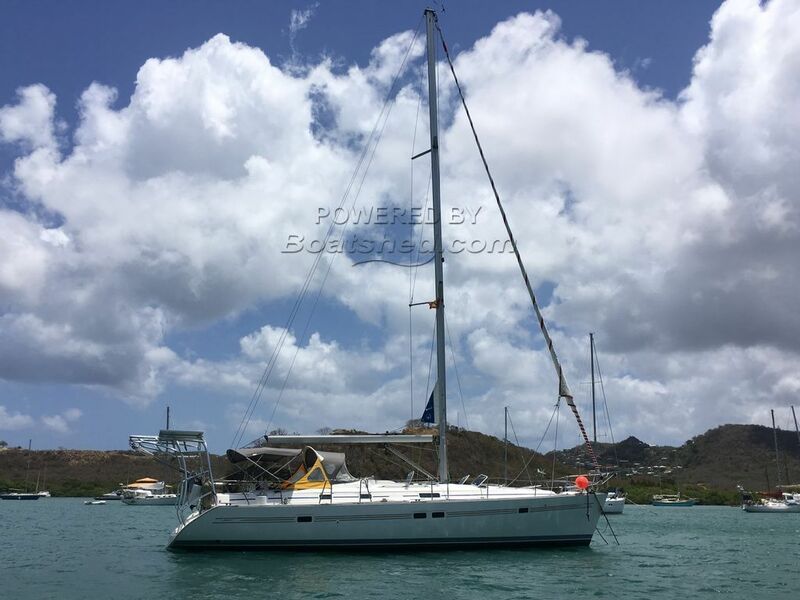 This Beneteau Oceanis 411 3 Cabins , 2 Heads has been personally photographed and viewed by Anita Sutton of Boatshed Grenada. Click here for contact details.